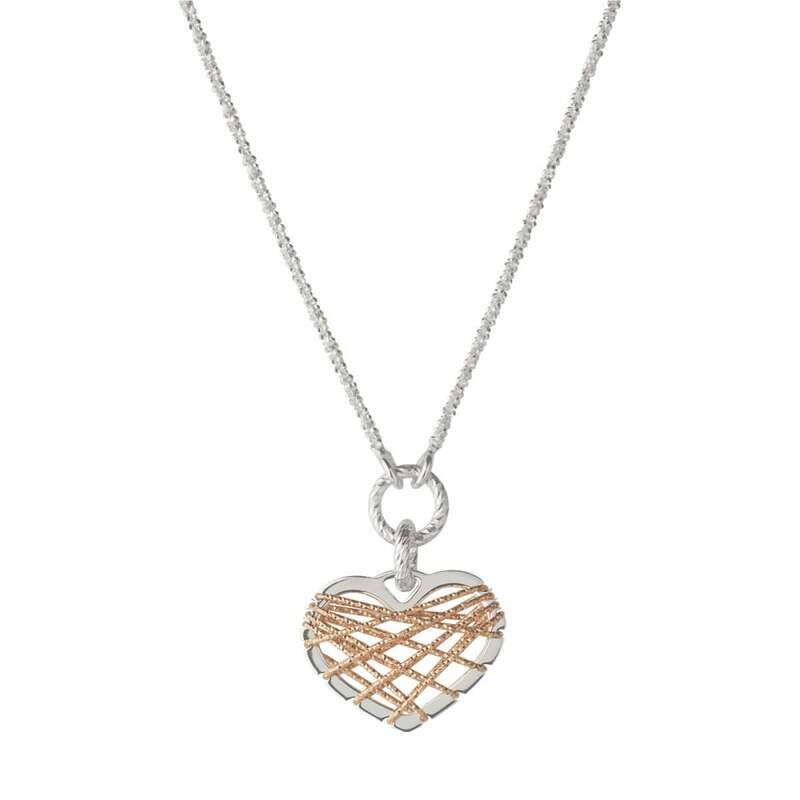 This sterling silver heart pendant gets a modern interpretation with a fine web of rose gold vermeil glitter wire. A unique and interesting necklace, the Dream Catcher collection has been inspired by the Native American symbol to protect against nightmares. With a glittery finish, pair this piece with a bracelet and earrings from the same collection for maximum sparkle in your life. Showing our 2 Links of London 45cm Bi-Metal Dream Catcher Heart Pendant reviews with an average rating of Excellent. Would you like to write a review?